In this method, by increasing the activation temperature and pressure of water with a small amount of material and rinse several times to increase the slurry method, activated clay and decolor power quality, reduce production costs significantly. Rinse water slurry shall be equally divided into a number of equal parts, in turn. To meet the paper, plastics and rubber products industries have a higher fineness requirements for bentonite, it is necessary to increase the fineness of bentonite to improve the quality of the product. 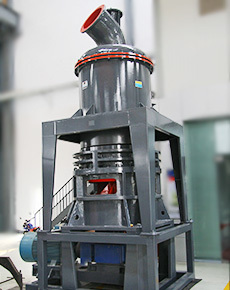 Ultrafine grinding process is grinding stripping, high pressure extrusion, jet milling method. 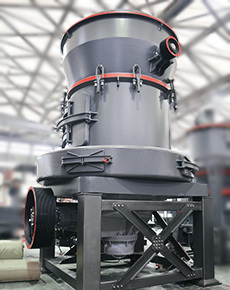 Bentonite milling equipment usually used SCM series ultrafine grinding or MTW European version of the T-shaped milling machines. It is predicted that the amount of bentonite mineral resources has more than eight billion tons in China, laying the foundation for resource development and research of new products, market development, improve the competitiveness of it. But the low level of development and utilization of bentonite, so the total lack of extraction of 1% of proven reserves. In the international market is a “Low high intake” situation, is a lower export products (ore, casting, drilling, low-grade activated clay, etc. ), import advanced products (detergent softeners, high-grade organic soil, waterproof blanket, etc.). 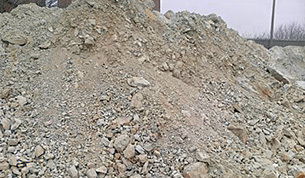 According to incomplete statistics, The current annual sales of bentonite is about 2.7 million tons, which is used foundry sand from 100 to 1.1 million tons, 70 tons for drilling mud, used in metallurgy pellets 450,000 tons for oil bleaching (active clay) 200,000 tons, for the other 20 to 30 tons. Industry is characterized by small-scale enterprises (annual tons of enterprises with more than a handful), low level of technology, because it is resource-based industry and competition is not very intense, production and sales and prices are rising year by year. Because of swelling bentonite has good performance and dispersed. suspended and mud, therefore used for drilling mud, retardant (suspended fire), sewage treatment; packing can be done in the paper industry, to optimize coating properties such as attached focus, hiding power, water resistance, abrasion resistance, etc; because of its good adhesion, can replace starch used in the textile industry, yarn sizing both saving food, not fluff, not after paddle odor, really serve both, too. Generally speaking, the nature of sodic montmorillonite (or sodium bentonite) is better than calcium. But the distribution world wide calcareous soil far more than sodic soil, so in addition to strengthening Looking sodic soils on calcareous soil outside is to be modified, making it a sodic soil. Bentonite (montmorillonite) due to good physical and chemical properties, do binder, suspending agents, thixotropic agents, stabilizers, purification bleaching agent, filling material, feed, catalyst, etc., it is widely used in agriculture, light industry and cosmetics , medicine and other fields, so montmorillonite is a widely used natural mineral materials.